Whether you know him from the Notebook or LaLa Land odds are you know and love Ryan Gosling. This baby bib is perfect for any movie fan or that unique couple who like a little something different. 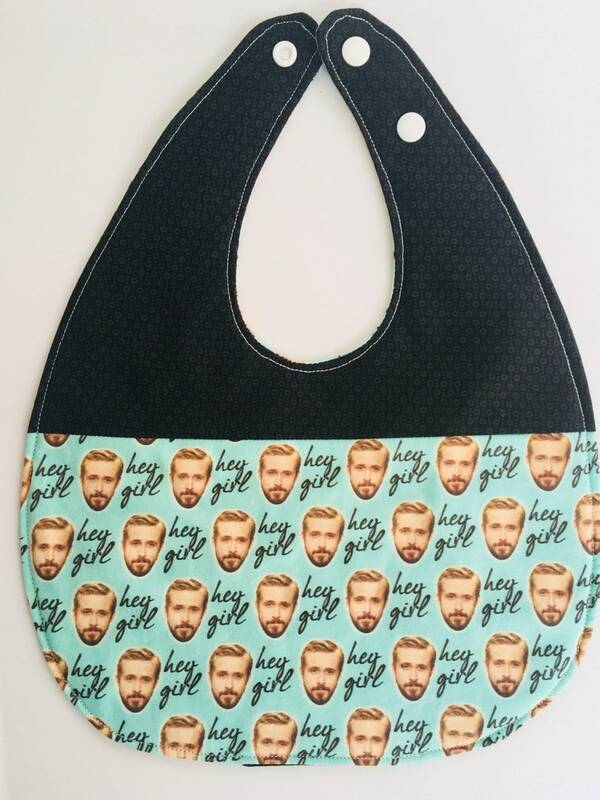 Featuring the image of Ryan Gosling with the viral saying associated with him "Hey Girl" and a neutral black graphic print accent fabric. Made with fabric designed by Skippyfantastic on Spoonflower.com, bamboo blend quilters batting and plastic Kam snaps. This bib is very absorbent, adjustable to grow with baby and reversible.